On Armistice Day, I attended a Symposium at the University of Queensland entitled ‘Sacrifice in Wartime’. 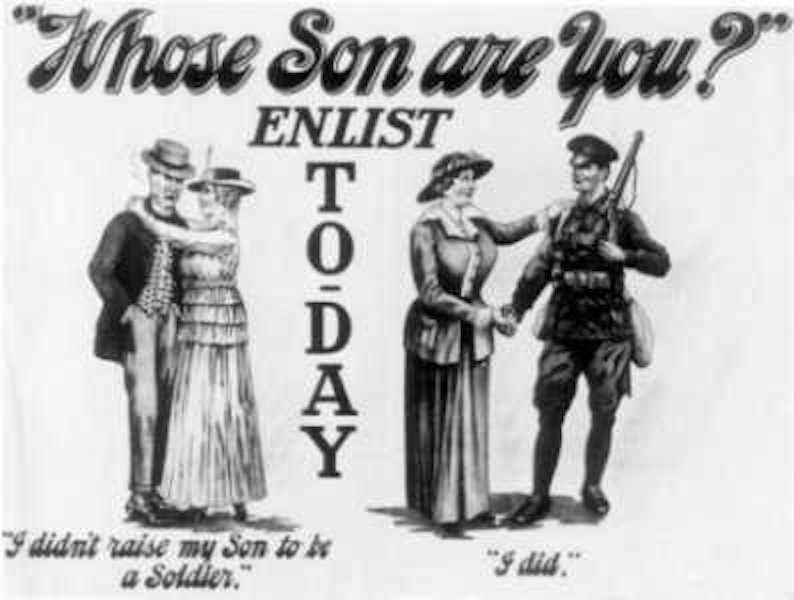 It referred specifically to World War 1 (WWI or ‘The Great War’ as it was known at the time) during which the term ‘sacrifice’ was used a great deal by many different people in many different ways. Geoff also mentioned the sacrifices of our troops for each other, and noted those of the stretcher-bearers bringing the wounded back from the battlefields at great personal risk. In the 1920s and 1930s memorials to the WWI dead became a preoccupation with communities throughout Australia. Inscriptions used the language of high diction, which dated back not just to WWI but the battles of the early 10th century. For example the Mosaic on floor of Horatio Nelson’s sarcophagus reads ‘England expects every man to do his duty’. Also wives were encouraged by State monetary aid to have children to compensate for the horrific number of deaths being incurred on the battlefields. He was full of admiration for the men and wrote “The valour, spirit, patience and determination of these Australian soldiers are beyond all praise”. Finally, Dr Susan Kellett mentioned the sacrifices made by nurses during WWI and how churches made money through church memorials of stained glass windows both to individuals and as collective memorials. This was contrasted with the war memorials erected by public subscription in the community.